This august Keira Knightley made a provocative photoshoot with famous Patrick Demarchelier. What’s interesting about these pictures is that Keira demanded as little retouching as possible because she was sick and tired of all overly-processed film posters. And this resulted in these natural, pure and stunning black-and-white photos! 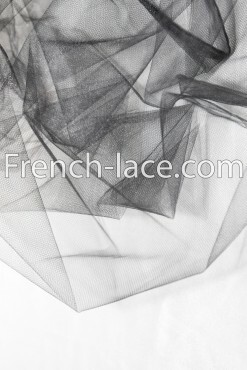 Our focus here is not only on beautiful Keira, but also on all these laces and tulle. Just look at these long lace gloves or at the embroidered tulle dress. This entry was posted in Fashion news, Laces from our shop and tagged black, black lace, black lace dress, black tulle, chantilly lace, french tulle, Keira Knightley, Patrick Demarchelier.